Geometry Wars was developed by Bizarre Creations and was released on October 3, 2005 for 800 Microsoft Points. The price has since been permanently reduced to 400MS points. Developer Bizarre Creations, which closed its doors in 2010, was always known for its Project Gotham Racing series until it ventured into downloadable territory during the Xbox 360’s inception with Geometry Wars. 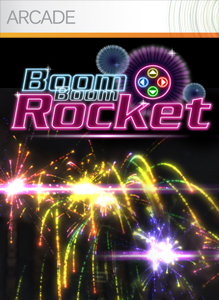 Although it’s a simple twin-stick shooter, it’s flashy visuals and addictive score-based gameplay were enough for some gamers to purchase its inevitable sequel and even its cousin on the Nintendo Wii. Now, more than five years since its release on XBLA, it deserves a chance to get recognized by those who may have overlooked it. To the uninitiated, you control a blocky spaceship with the left analog stick and shoot projectiles (which are upgradable through the game) with the right analog stick. You are confined to a large grid set on the backdrop of space, with enemies that drastically get stronger as the game progresses as well as advance in numbers. Some enemies are easy to take down, while others dodge your fire like a rat avoiding pest control. If you become overwhelmed you can hit the right trigger to activate a bomb that wipes out everything on screen — that is until they return in full force. If you’re looking for a challenge, try earning the excruciatingly difficult achievement unlocked by earning 1 million points in the game. 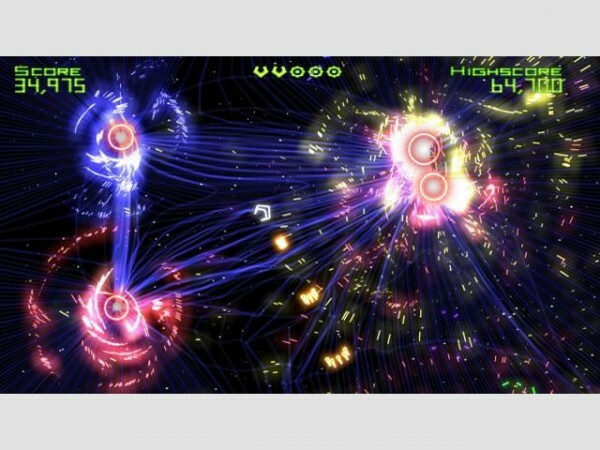 Fast and frantic – Geometry Wars is not for the passive gamer; it requires you to be astute and on your toes. One wrong move could cost you a life. But if you’re up to the challenge, no twin-stick shooter (except for its sequel) compares to the excitement and challenge of this game. Even when you fail to reach the high score you desire, you’ll come back to try again. The fast-paced gameplay works perfectly because the controls are spot-on and any mistake made is simply at no fault to the game but merely a human error. If you’re looking for the video game equivalent to the movie Crank, this game fits the bill. Retro, yet modern – The game offers two modes of play: retro and evolved. 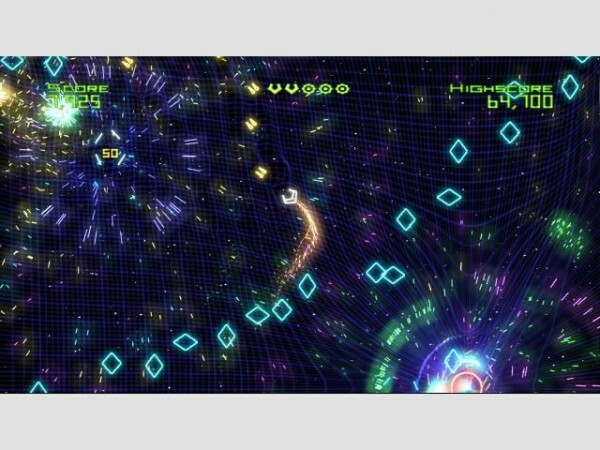 Retro is basically the same game sans the trippy visuals and expanded grid — instead you’ll be performing in a zoomed out grid with graphics reminiscent of arcade games like Asteroids. Both game modes are worthwhile, but the real meat is in evolved, which a hectic game of survival against hordes of increasingly hostile enemies. 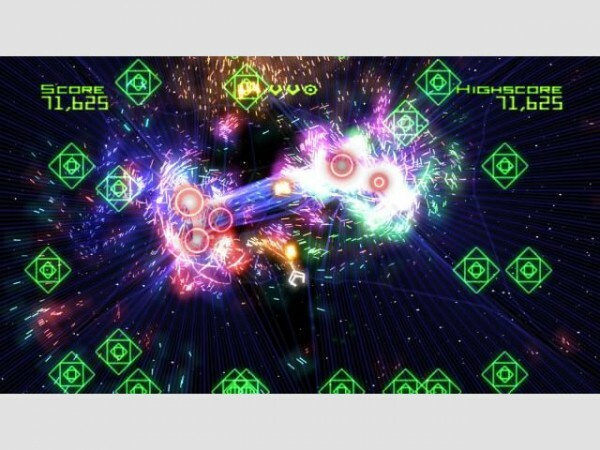 Techno soundtrack – Geometry Wars basically created the trend of the accompanying crescendo techno soundtrack that gets more intense as the action increases. Games like Pac Man: Championship Edition DX wouldn’t be so electrifying without those pulsating beats and probably wouldn’t exist without the influence of Geometry Wars. Some gamers are tired of techno soundtracks, but we here at XBLAFans enjoy them. 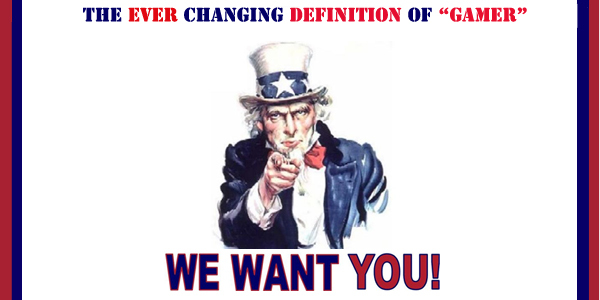 Superior sequel – Obviously, we are reaching to find things wrong with this game. Subjectively speaking, Geometry Wars 2 is a better game. It has more depth, more gameplay modes and more content. But, it wouldn’t exist without the prequel. So, ugh, take a couple of points off for that? Challenging – Although this game is accessible for all types of gamers, it’s too challenging for most, and strides could have been made to streamline it. We hate to say that, simply because streamlining often ruins the core experience, but again we’re reaching for things wrong. Geometry Wars started a revolution. It was the first great game for Xbox Live Arcade and it’s still one of the best. Dozens of copycats tried to mimic the perfection of Geometry Wars with minimal success, and if that doesn’t speak volumes about the game’s prowess, we don’t know what does.